Like everything else, storing your boat usually comes down to one thing; Location. 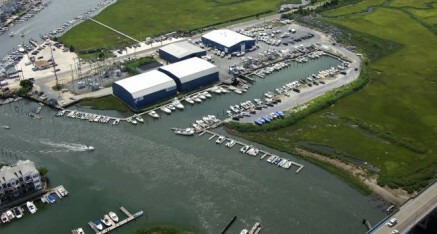 What better location than Minmar Marine at the foot of the bridge leading in to Sea Isle City? Our 115 available wet slips are located in a protected lagoon and are just minutes away from Townsends Inlet. In addition to our wet slips, we have over 175 indoor and outdoor dry stack storage spaces that can be rented for the season. Interested in renting a slip?